Teton Valley Idaho sitting at the bottom of the western slope of the Grand Teton Mountains has a great many trail ridding opportunties to choose from but the choices don't stop there, on the southeast end of the valley is the Snake River Range and to the west is the Big Hole Mountains, both provide hundreds of miles of trails. 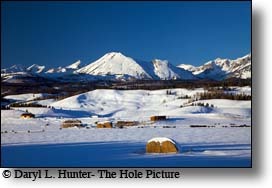 If that isn't enough for you over the hill in Jackson Hole you can ride the Gros Ventre Mountains, the Wyoming Range or up north you can try the trails of Island Park or Yellowstone. 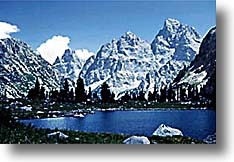 Sunrise Lake is nestled in the north end of Alaska Basin on the Teton Crest Trail, the tip of the Grand Teton can be seen just over the ridge. 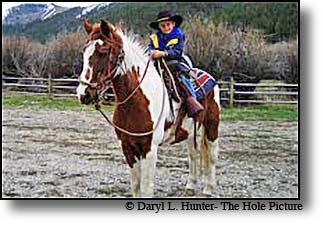 The horseback riding and hiking in our very special neck of the woods here in the Yellowstone Grand Teton region is a very special experience. Few places have our diversity of trail choices. Yellowstone provides many otherworld hiking and riding opportunities, the Grand Teton’s canyon trails beneath its towering granite monoliths provide scenery you can read about but can’t believe until you experience it. The remoteness of the Gros Ventre, Wind, Big Hole, Wyoming, Centennial, and Snake River mountain Ranges are treasures in their own right. 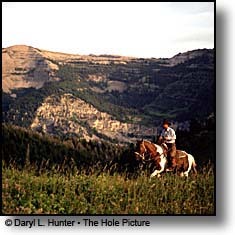 If you horseback ride or hike to get to where the remote fishing is good, you have chosen the perfect destination. 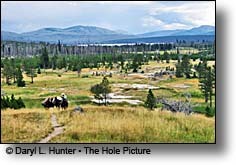 In the Greater Yellowstone Region, anything can happen horseback riding or hiking. 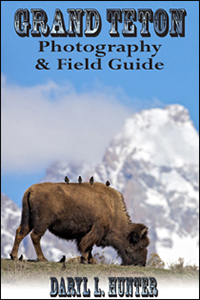 Wildlife sightings are the norm, moose, elk, deer, and bison are a daily occurrence if you are lucky you might see a wolf, mountain sheep, or bear. Extreme weather can be expected any time. A clear sunny day can quickly become stormy, bringing lightning, hail and sometimes snow. Hypothermia can befall you any time of the year if your are unprepared. Daytime summer temperatures range between 70 to 90 degrees. June can be cool and rainy, and high water during spring runoff can become hazards in stream crossings. The peak hiking and horseback riding summer months, July and August tend to be drier and better choices for the fair weather horseback rider or hiker. Hiking and horseback riding in the Greater Yellowstone Region offers such a great array of trails choices are difficult, but it’s tough to go wrong. Mountaineering stores and saddle shops provide information, maps and books to help you stay informed. 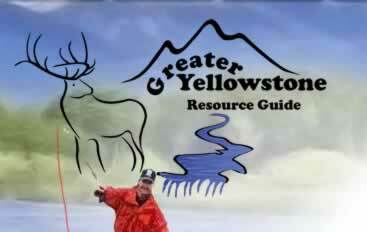 Consult authorities for current conditions and wildlife sightings before venturing into the backcountry. The more informed you are, the more comfortable your trip into the mountains will be. Goodwin Lake Trail • (Jackson Hole) • The Goodwin Lake Trail is one of those cheater hike/rides that start by driving your car to about the 8,000-foot elevation effortlessly expediting your buns to the high country (my favorite kind). This trip is popular for its proximity to the town of Jackson and Grand Teton National Park; it’s relatively short length and ample sensory rewards. 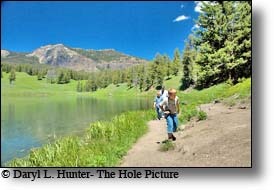 Heart Lake Trail • (Yellowstone Park) •Tucked away on the east side of Mount Sheridan in southern Yellowstone, just over the continental divide from Yellowstone Lake is one of the most pristine areas of Yellowstone National Park, the Heart Lake drainage. 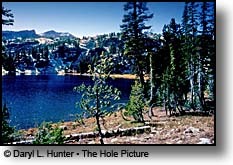 In this region only a network of trails, primitive campgrounds and a picturesque log cabin ranger station are the only sign left by man, a remarkable fete in this day and age when you consider that the Heart Lake is one of more popular hikes for day hikers and backpackers; 40% of all of Yellowstone’s backcountry overnight trips are to Heart Lake. The Teton Crest Trail • (Grand Teton National Park) The Teton Crest Trail can be done many different ways; the full route is 39 miles, from Teton Pass on Highway 22 to String Lake in Grand Teton National Park, just north of Jenny Lake. Backpacking the Teton Crest Trail takes about three days but this hike is no place to rush if you can budget the time. 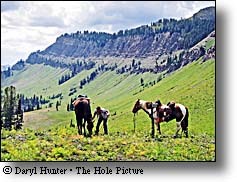 Ambitious backpackers or horseback riders can extend the trip to seventy-five mile trek along the entire crest of the Teton Mountains with some creative trail daisy chaining. Much of the Teton Crest Trail cuts a serpentine path through Grand Teton National Park and the adjacent Jedediah Smith Wilderness, rarely dipping below 8,000 feet. This rugged mountain environment’s jagged spires, alpine meadows, glaciers, lakes and vistas provide a challenging trip with limitless and rewarding sections for off trail exploration. Lake Solitude and the Grand Teton from 10 miles up Cascade Creek Trail in Grand Teton National Park. Cascade and Paintbrush Canyon Loop Trail • (Grand Teton National Park) • The Paintbrush Divide trail makes up the first part of a great loop hike that carries you across the Divide (10,720 feet), passing Lake Solitude as it winds back down to the Cascade Canyon. It's best to go up the Paintbrush Canyon first because it allows for turning around quicker if ice/snow at the divide is a problem. Also, its steeper which is more pleasant to go up than down, and gets the hard part over with while you are still fresh. A snowfield makes the trail a bit tricky as you cross the divide until early August. After August is easily traversed without the need of an ice axe, trekking poles are always useful on extreme day hikes and make the small snow excursions even easier. Palisades Creek Canyon • (Swan Valley Idaho) • Palisades Creek Trail is located about 50 miles southeast of Idaho Falls and about 60 miles west of Jackson Hole WY in Swan Valley Idaho, The four mile hike up to lower Palisades Lake or the 6.2 mile hike to Upper Palisades Lake provide some of the best mountain views in the Swan Valley region. Palisades Creek Trail is well maintained and can be used only by hikers, backpackers or horses. If you choose to hike up to Upper Palisades Lake, 2 miles above Lower Palisades Lake you have to leave Palisades Creek trail and turn up Waterfall Canyon and it is just a short distance up Waterfall Canyon. The Grand Teton peaks of Table Mountain east of Driggs Idaho. Table Mountain Trail • (Teton Valley Idaho - Driggs) • Table Mountain is a must do hike not to be missed in the Tetons. The top of Table Mountain offers the best vantage point in the Tetons for close-up views of the massive west face of the Grand, upper reaches of Cascade Canyon, and the U-shaped glacial valleys and canyons on the west side of the Tetons. This hike is widely regarded as one of the most outstanding in the entire region and it bears the signature of the essence of the Grand Tetons. 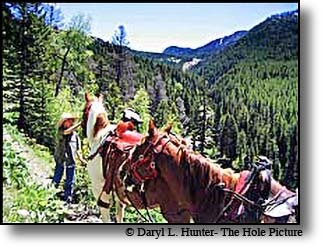 Big Elk Creek Trail • (Swan Valley Idaho) • Big Elk Creek is a gorgeous stream that flows down a big pristine canyon that is free of motor vehicles and livestock grazing. 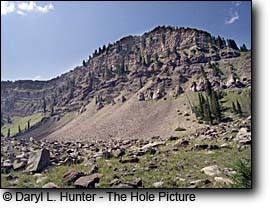 The canyon includes many avalanche chutes and rugged mountains. It has an easy trail leading up a broad, open, and scenic canyon. The Trail from campground goes north along Big Elk Creek, and heads for miles into the heart of the Snake River mountain range. The high alpine meadows have exceptional flower displays during the summer months. Excellent views are everywhere you look throughout the Big Elk Creek backcountry. Black bear are relatively common, elk and moose are abundant, there is a population of mountain goats that cling to the many cliffs of the Big Elk Creek drainage. The peregrine falcon has been restored to the cliffs of the Snake River Range also. Swift Creek Trail (Jackson Hole - Bonduraunt) • I found nothing swift about Swift Creek trail Oh! except the creek, the trail starts out in Granite Creek Valley beneath the grandeur of this special mountain valley's towering sentinels. 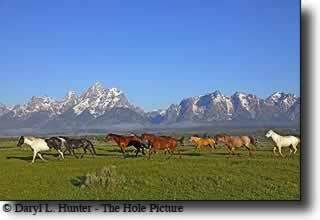 You climb imperceptibly through sagebrush and wildflower meadows interspersed with groves of conifers and aspen. When you draw up close to the creek you start ascending through forest and small meadows and for a while lose the views of the mountains. Here the terrain flattens out for a bit and you cross the creek, the trail breaks north to reveal the mountains once again, North Cliff Wall on the left and Corner Peak to the right. 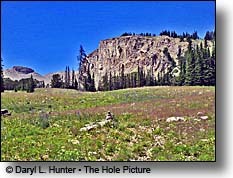 A trail through the meadow to the right provides trail access to MacLeod Lake high up on Corner Peak. Then up a little farther you see it, God accidentally misplaced one of Yosemite’s water falls halfway up this canyon. What a pleasant surprise. Little Greys River Trail access Greyback Ridge, Pickle Pass, Roosevelt Meadows Cliff Creek and the Upper Hoback River Drainage. Little Greys River Trail • (Star Valley Wyoming - Alpine) The trail begins near the end of Little Greys River Road #10047. The trailhead’s beginning elevation is 6,950 feet and is at the edge of a giant meadow valley and the river has already radically changed character it is now in a spring rush down a steep canyon. 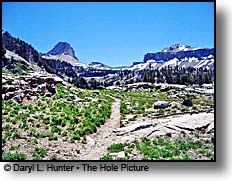 This trail accesses the scenic Wyoming Range and it connects to the Wyoming Range National Recreation Trail #048 and the Cliff Creek Trail #137. It has an elevation gain of 2,310 feet. The trail climbs steadily through forest interspersed with meadow with regular jogs over to the mountain edge for views of the Little Greys River hundreds of feet below. Bear Creek Trail • (Swan Valley Idaho) • Bear Creek is an idyllic mountain stream that meanders through an equally serene alpine valley on the southwest side of Palisades Reservoir in Swan Valley Idaho. 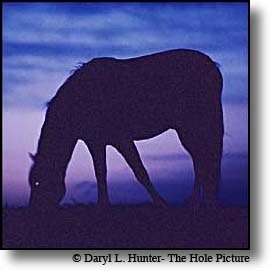 The trail is an easy one even for novice hikers and the danger spots for horses are few. 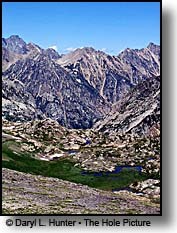 Unlike the creeks on the Snake River Range side of Palisades Reservoir the creeks of the Caribou Range seem more open not that they are but the southern slopes of the mountains are largely open meadow and lends itself to a more open feeling. Shoal Falls Trail • (Jackson Hole) • The Shoal Falls trail begins in the scenic alpine wonderland of Granite Creek a good home base to explore this amazing area. From the Swift Creek/Shoal Falls trailhead hike or ride up the sagebrush and wildflower meadow until the trail splits, look for a wooden sign that says "Shoal Falls". Follow an old two–track road for the first 1⁄2 mile. The trail then turns to the south and angles up a forested hillside and you climb a series of switchbacks that periodically reveal views of Granite Creek Valley below and the grandeur of Open Door Mountain. Alaska Basin of the Teton Crest Trail. South Teton Canyon Trail is a tough one to beat. South Teton Canyon Trail • (Teton Valley - Driggs) • From the trailhead at South Teton Creek you enter the trail in a forested area right by the creek by you soon break out into open meadow terrain that compliments the surroundings groves of conifer and aspen all dwarfed by the cliff bands and peaks of this gorgeous glacial valley. The hiking is easy and in spring and early summer there are numerous waterfalls. South Teton Creek Trail is in the Jedediah Smith Wilderness and so all access is by foot or by horseback. The South Darby Wind Cave is full of beautiful surprises. South Darby Creek - Wind Cave Trail • (Teton Valley - Driggs) • Darby Canyon Trail is one of several access points for the Teton Crest Trail but it is better known for The Darby Wind Cave which is the major draw to this popular Teton Valley hike that takes you into the heart of the Jedidiah Smith Wilderness. The Trailhead for south Fork of Darby Canyon is at 7,069 feet, the first few miles of the climb up Darby Canyon winds steeply through meadows and forest as it quickly gains elevation. 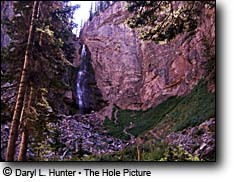 Intermittent waterfalls splash down the canyon rim in early summer add to the hiking experience. After about 2.5 miles the trail for the Darby Wind Cave forks off to the right. Granite Highline Trail • (Jackson Hol) • The Granite Highline Trail is often overlooked due to Jackson Hole’s embarrassment of nature’s riches. It is a beautiful high elevation trek up through the boreal forest of Cache Creek and across the sub-alpine regions of the Horse Creek Drainage and Granite Creek Drainage. A rugged, variable-length day hike, or a 2-day hike featuring access to several high peaks the trail is about 15 miles long. After the initial climb on either side the trail remains remarkably level for most of its length. Much of this trail is in open meadow with groves of aspen and conifer here and there and much of the trail is in the shadow of the Granite peaks above. 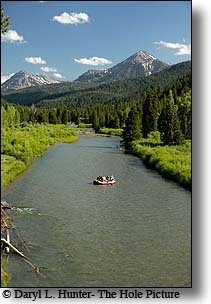 Targhee Creek Trail provides access to the mountains north of Island Park Idaho that stradle the Idaho Montana border. Targhee Creek Trail • (Island Park) • Targhee Creek Trail I must say was a pleasant surprise, I have driven by the mouth of the canyon many times and never gave it a thought, as it is unimpressive from the drivers seat at 55 miles per hour on Highway 20. The Targhee Creek Trail starts in a mixture of meadow and conifer and aspen forest at about 7,000 foot elevation but you soon leave the aspens behind and the first three miles are an easy meander along a pretty canyon bottom of open meadow and conifer woods. 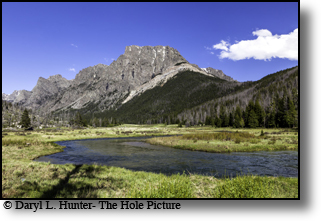 Targhee Creek in August doesn’t have much volume to it but I would bet that it hosts some fishy surprises in it for the angler wishing to fish a tributary to legendary anglers nirvana Henrys Lake. Turquoise Lake is a remote getaway deep into the Gros Ventre Wilderness. 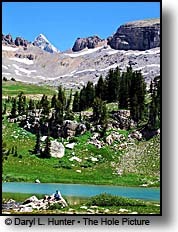 Turquoise Lake (Jackson Hole) • Turquoise Lake is an alpine gem in the middle of the Gros Ventre Wilderness and there are many ways to get there but the most expeditious one is via the Goodwin Lake Trail. This access facilitates a 2,000-foot elevation head start over most others by virtue of its 8,000-foot trailhead. 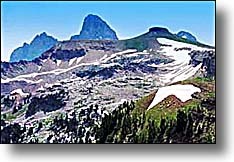 This trip reveals the heart of the Gros Venture Wilderness, the peaks of West Crystal to the east, the peaks of Packsaddle Pass and Antoinette Peak can be seen far to the southeast, to the south is Gros Peak and to the south of it you see Pinnacle Peak. There is an impressive escarpment going off the north side of Gros Peak that seems to speak of millions of years of geological history. 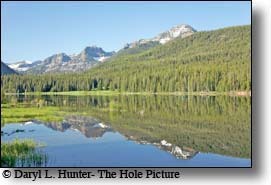 Moose Lake (Teton Valley - Victor) • Moose Creek Trail starts just east of Victor Idaho, it is one of the starting points for the Teton Crest Trail that leads into the heart of the Grand Teton Mountain Range. 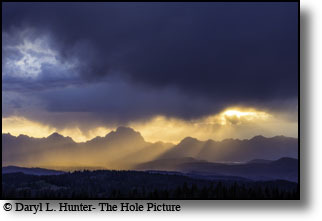 The Grand Teton’s, Moose Creek Trail, is entirely within the Jedediah Smith Wilderness in the Caribou-Targhee National Forest................... Above Moose Falls you enter some wide open terrain that treats you to the glacial nature of Moose Creek Canyon, and here the trail splits, here you can continue to the right along the Teton Crest Trail to Grand Teton National Park, a short distance away or turn to the left to continue to Moose Lake. Cliff Creek Falls cascades down a red rock cliff of the Wyoming Range. Cliff Creek Falls - (Bonduant WY) • After a few miles the canyon starts to narrow and the mostly non descript slopes start sporting crowns of beautiful red ochre cliff faces that wouldn’t be out of place in southern Utah, but are a pleasant surprise here in the Teton Region of Wyoming......................The first waterfall you see is a lesser one on a fork of Cliff Creek but when you see it look to the left, and the larger Cliff Creek Falls is on the larger fork of the Creek. The trail splits here, and trail #3137 goes to the left taking you a short distance to the falls and beyond. 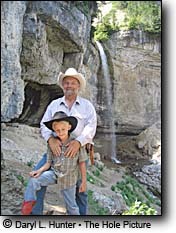 Upon reaching Cliff Falls (base elevation 8,000 feet) you are treated to a cascading waterfall that tumbles 68 feet down into a red rock basin. A spot right at the bottom is perfect for a morning shower for those who camp here. North Willow Creek Trail (Star Valley) • The first couple of miles there are several creek crossings but as you climb the trail veers away from the creek. There are parts of the trail that is really rocky and parts that are steep stretches of clay that could easily turn to a dangerous slime, on horseback, in a rainstorm. ATVer’s use the lower section but there was no evidence of them in the higher elevations. About halfway you get into the sub alpine terrain which provides better views of the surrounding peaks and the canyon below. When you think that you have reached McDougal Pass, you haven’t, the first saddle drops you into the head of Strawberry Creek where Strawberry Creek Trail merges with North Willow Creek Trail for the final couple of hundred yards to McDougal Pass. It is about a half mile from the Strawberry/N. Willow divide to the Pass. Strawberry Creek Trail (Star Valley) • Strawberry Creek Trail is one of the more accessible trails into the rugged and scenic Salt River Range from Star Valley WY. The trail starts at 7200 feet and follows a gorgeous valley 7.5 miles to McDougal Pass where Bear Creek trail begins for a drop into the Greys River Valley. Hikers can take the road to the end but if you are pulling a horse trailer find a turnout before you get into as situation you wished you were not in. The trail starts in creek bottom boreal forest and a short way up the trail, another trail cuts off to the left, this trail is the Covey Cutoff Trail which is a shorter way to get to the Greys River Drainage. This is not marked so keep right if McDougal Pass is your destination. Willow Creek Trail (Jackson Hole) • Willow Creek is a major drainage system for the Wyoming Range, the scenery is fantastic and provides prodigious, geographic, flora and fauna viewing and there are many trails you could get lost on. Take a map. 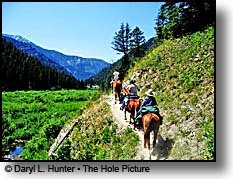 The trail is popular with horseback riders, mountain bikers, hikers hunters, and fisherman.